X-Plane 10 Mobile is among the first games to be released for NVidia’s Shield set top box. Part of the work of doing this release was putting game controller support into X-Plane mobile – you’ll be able to use a game controller on your Android or iOS phone or tablet too. And part of the work was making the entire user interface accessible from a game controller, e.g. only button presses, no touch screen input. That code is going back to X-Plane 10 Global for keyboard navigation in our next generation user interface. The 747 started on X-Plane 10 Global and has been moved over to X-Plane 10 Mobile. We’ve tried to keep the two versions synchronized, so we can move some of the improvements from mobile back to the desktop version of X-Plane. X-Plane for Android is NOT Infected! It has been brought to my attention that Android users that have Webroot’s Antivirus app for Android installed are getting false reports that X-Plane contains a trojan virus. This is of course a complete false-positive on the part of the Anti-virus software. I’m doing my best to get ahold of Webroot’s developers to aid them in correcting their software. In the meantime, rest assured we’re not doing anything dirty to your android device. Posted in Android by Chris Serio | Comments Off on X-Plane for Android is NOT Infected! If you have an Android device, check your market for the new update. The update allows users to purchase aircraft and scenery add-ons if they wish. This is an “a la carte” style system. We hope you’ll find it more cost effective as a user to buy the aircraft/scenery that you want instead of having to buy an entirely new product for $9.99 just to get at a couple of planes that you like. Android Web Market is live! Google announced today that the Android market is now available on the web. It’s really quite nice and the best feature is that apps can be purchased directly from your desktop computer and installed over-the-air (that means no tethering like in iTunes) directly to your Android device. It’s quite cool! Here are the links to our stuff. Please share them with your friends. You can even tweet about it right from the market listing. Posted in Android, News by Chris Serio | Comments Off on Android Web Market is live! Just an FYI: when it rains it pours. Normally betas increase load on our set of update servers. To compound this, one of them is suffering a midlife crisis^H^H^H^H^H^H^H^Hhard drive failure. * We’re working on it now; hopefully it will be resolved in the next 24 hours. EDIT: the update server is back up – our host not only swapped out the drive, but the whole box. We’ll have to take it down one more time in the future, but for the most part I think we’re out of the woods. We originally wanted to build a monolithic app (everything in the APK) because we thought that this would provide the simplest, easiest configuration to maintain, and thus hassle-free installation for our users. You get the APK, you install it, you fly! Unfortunately, the Android Market isn’t reliable for such a large download, so we had to re-evaluate. The new system downloads only the core app from the Android Market and then pulls the art assets from one of our servers. So far this appears to be an improvement. If/when Google provides an integrated solution, we will probably switch back to it to simplify the process again (right now we have two points of failure: the Android Market and our server farm, which, per the above notes, sometimes does fail). But for now, we’ll host the apps and try to give people the best download experience we can. Finally, I will try to roll out at least a beta of new installers some time this week. The new installer simultaneously downloads from multiple servers, with a more efficient HTTP implementation; this should hopefully result in better download times and also lower server load per demo. * Chris pointed out: most normal humans don’t know what this ^H^H^H^H is about…it’s nerd-speak for the delete key, e.g. to undo a text. ^H is control-H, which you may find works just like the delete key. Yes, I’m a huge nerd. It shipped! X-Plane Mobile is now available for Android phones – look in the Android market under “X-Plane 9”. 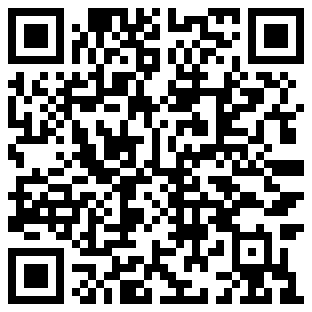 Edit: Chris sent me this QR Code – scan it to go to the store listing. Edit: if you either cannot see X-Plane in the Android market or you cannot download it, please first look here for trouble-shooting tips, then contact customer support (info at x-plane dot com). Please do not use the comments section of this blog for customer support; if you need help we will need to contact you one-to-one. As some have noticed on the org and on FaceBook, Randy mentioned that we may be able to ship X-Plane Mobile for Android. Some users were quite befuddled to learn that we were aiming to ship X-Plane Mobile for Android so soon when X-Plane 10 is delayed. Here’s the full story. Chris, the third and most recent addition to the X-Plane programming team, began a port of X-Plane Mobile to Android a while ago; this was the second port of X-Plane Mobile after our port to Palm WebOS. He was able to accomplish most of the port fairly quickly; hence the video floating around the web of X-Plane on a Nexus One back in May. Unfortunately we ran into some issues that stopped ship; it looks like Google may have them fixed shortly, hence our hope of finally shipping the app. So while Chris has spent a little bit of time recently working on the last few Android issues, our hope is to release a product that we already put development time into a while ago.